to view more scientific achievements. 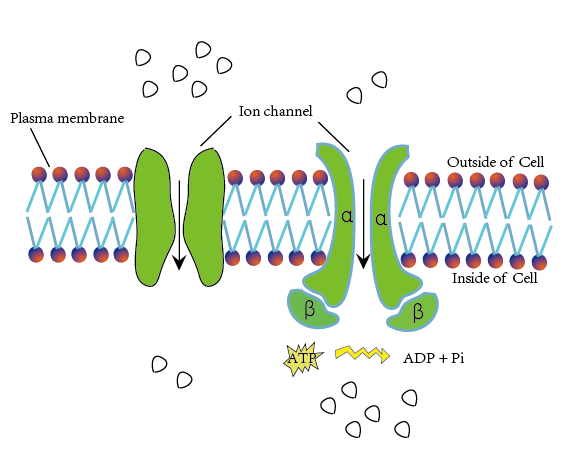 IonchanPred 2.0 is a server for the prediction of ion channel and their types based on machine learning method. In the process of training model, dipeptide frequency and the correlation information of physicochemcial properties between two residues were considered to build feature sets, and then analysis of variance (ANOVA) was proposed to exclude noise and redundant information. The incremental feature selection (IFS) was used to determine the optimal number of feature which could produce the maximum accuracy. Jackknife cross-validated results show that the proposed method can discriminate ion channels from non-ion channels with an overall accuracy of 87.8%, classify voltagegated ion channels and ligand-gated ion channels with an overall accuracy of 94.0% and predict four types (potassium, sodium, calcium and anion) of voltage-gated ion channels with an overall accuracy of 92.6%, respectively. We hope the webserver could provide convenience for wet-experimental scholars. Center for Informational Biology, University of Electronic Science and Technology of China, Sichuan, Chengdu 611731,China.